Original Post: ThermaHelm™ Technology in action. 90% of motorcycle fatalities are a result of injury from the neck up. 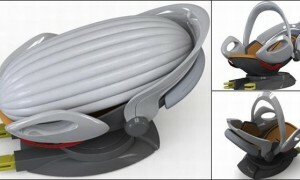 ThermaHelm™ Technology affords an accident victim endothermic (cold) engergy from the moment of impact. 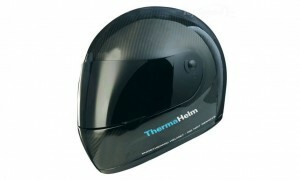 Sussex Innovation Centre, UK (5 October 2009) ThermaHelm™ Ltd. has developed patent pending brain cooling technology that takes crash helmet safety to an unprecedented level. 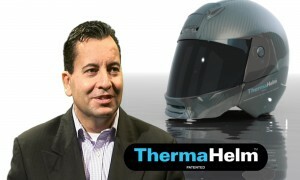 Crash helmets have remained virtually unchanged for over three decades but now ThermaHelm™ has integrated two proven technologies to create its life-saving endothermic helmet. 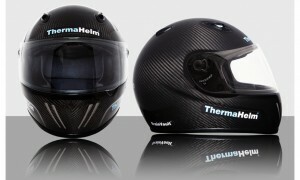 ThermaHelm™ technology works by triggering an endothermic (cold) reaction inside the helmet lining at the moment of impact. In the event of a collision where single or multiple impacts are received on the safety helmet, ThermaHelm™ by Julian Preston Powers immediately activates and cools the accident victims head. This form of cold therapy helps to prevent brain swelling in the crucial minutes before emergency services might be able to arrive on the scene. It is common practice for paramedics to apply ice packs to the heads of serious head trauma victims at the scene of an accident (if able to physically remove the helmet from the victim without causing further injury). The consequences of any delay can mean the onset of brain swelling and further damage (sometimes fatal swelling). 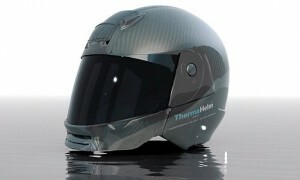 ThermaHelm™ endothermic cooling technology within the lining of a helmet helps to mitigate this problem.